I giggled all the way through the vows. I had to wear a nightshirt on the drive to the chapel because my hair and veil was done - and nothing else I had brought with me didn't go over my head. We ate dinner at the nicest restaurant in town, which also had a salad bar. We couldn't get over the fact that something we hadn't thought would matter, would in fact make us feel so very different. 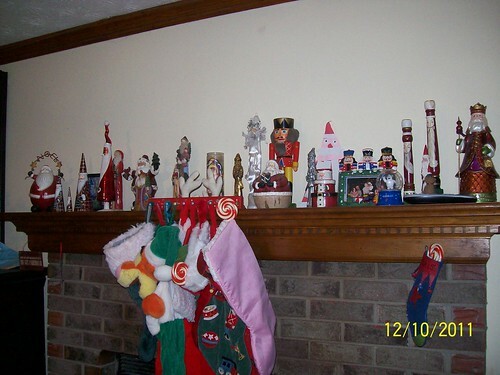 So we have this large collection of Santa's on our mantle. Every year we get a new Santa and it's kind of a fun thing, looking for the perfect NEW Santa to sit on the mantle with the others. 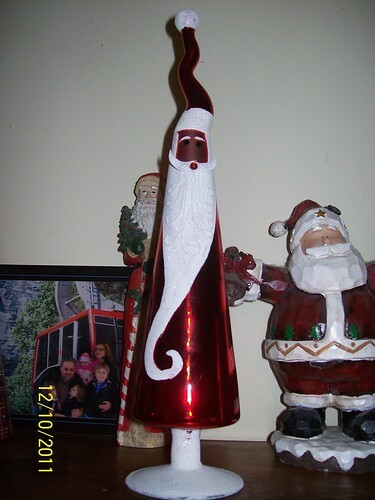 But our Santas have a dark past. You see, they are in fact HOSTAGES from the past. Once upon a time I had a friend who moved in and out of my house more than once. This friend was likeable and affable but not terrible responsible nor practical. He once ate five pounds of cheese. Out of my refrigerator. That he did not pay for. I mean, in GENERAL it wouldn't be a problem if someone over time ate all the cheese. If you live in my house I love you like family and you're welcome to eat my food. But, it's sort of bizarre at best that you might not EXPECT especially after just having purchased said cheese. But that's not the point. 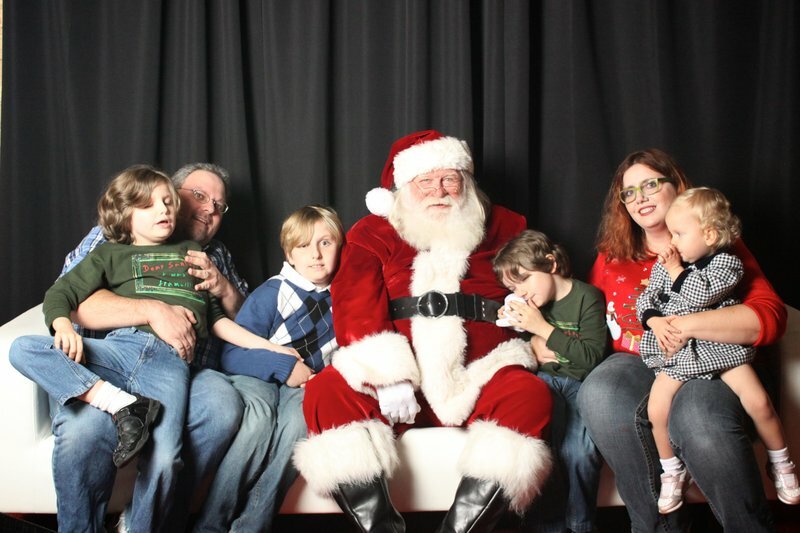 The last time he moved out and moved on to his new life adventure, he left behind a small collection of santas. WHICH I NOW CALL MY OWN. AS PAYMENT FOR SAID CHEESE. Yeah that's right. I KEPT THEM AS HOSTAGES. They seem to like it here. They're happy living comfortably in boxes most of the year but they get to come out and be the decorative focal point (aside from the tree) of our Christmas living room. No. You can't have them back. YOU MADE YOUR CHOICE CHEESE EATER!